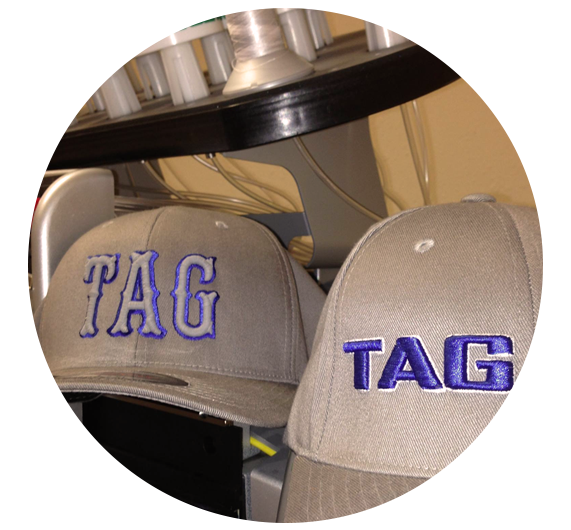 We provide a wide array of services on almost any medium from hats and shirts to bags, mugs, and more. We can process orders ranging from 1 to 20,000 in size. 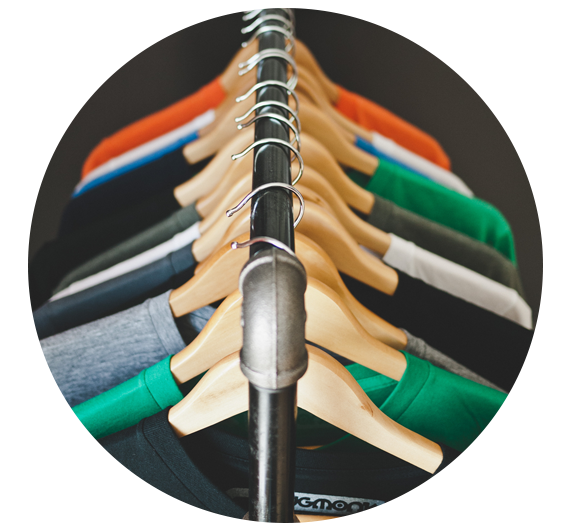 Our services include design, screen printing, embroidery, heat transfer, and sublimation. 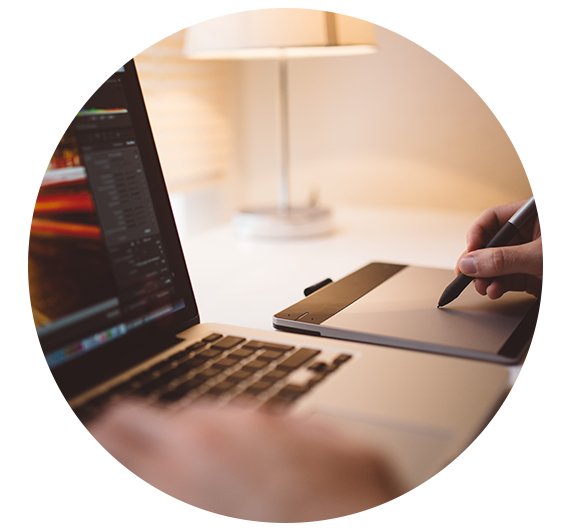 Whether you have an idea in mind or you need something created from scratch, our two on-site graphic artists are here to help you turn heads with your custom apparel and promotional products. 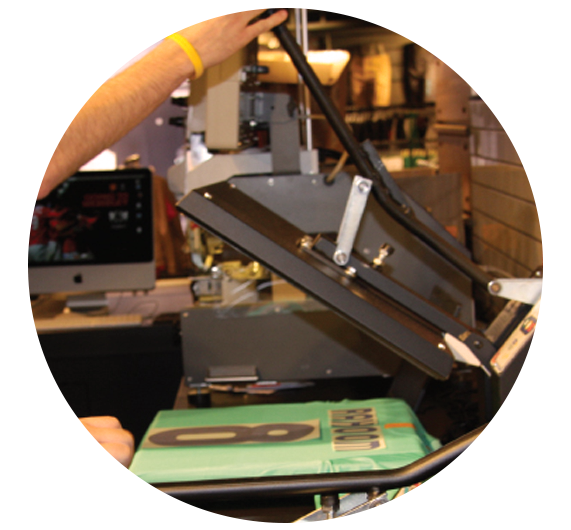 Screen printing is the process of applying ink to a medium through a screen. This relatively complex process allows us to print onto almost any medium. Screen printing is great for larger orders and makes it easy to have vibrant colors on any colored garment. Embroidery is the art of decorating fabric with needle and thread. It is best for things like golf shirts, jackets, hats, and corporate wear. With embroidery you can create a more professional look that will last longer than inks used in other methods. 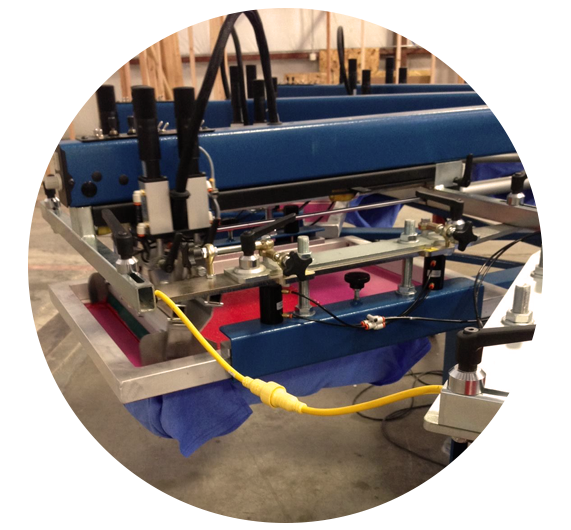 Heat transfer is the process of using a heat press to press the design onto the garment. The heat transfer method is great for smaller orders or orders that require custom elements for each piece. For example, a basketball team’s jerseys will require a unique name and number for each player. Sublimation uses a special ink and a process similar to heat transfer to print photo quality design on light colored polyester fabrics and polyester-coated promotional products. Sublimation is a higher quality and longer lasting printing solution, though it limits the available product options. Shop our Promotional Products or browse our Supplier Catalogs below. We are dedicated to offering competitive pricing but still provide quick turnaround and the highest quality on all of our orders. Request a quote now to find out what we can do for you.